If you’re in need of a stylish, yet compact laundry unit, look no further than Everhard’s Bold Mini 30L Laundry Cabinet & Sink. 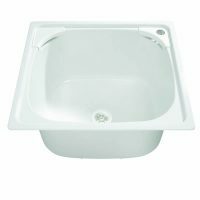 This is a high quality product is part of Everhard’s Excellence range. The stylish looks of this combination unit are well complemented with a brushed bronze charcoal powder coated finish and a chrome handle. 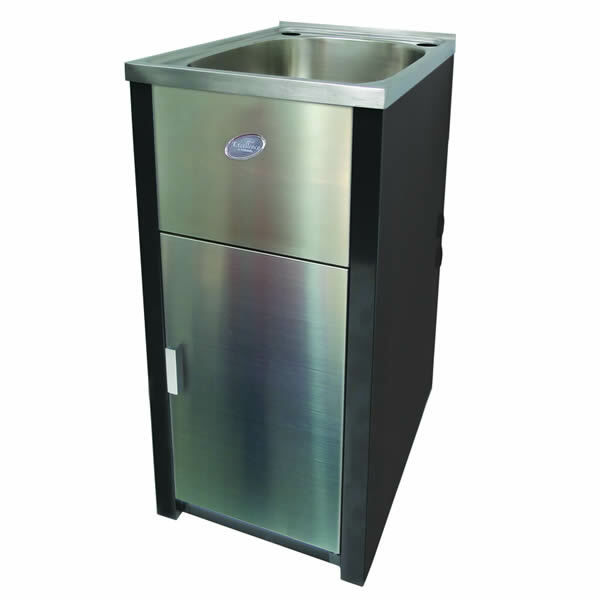 The Bold Mini Laundry Cabinet & Sink measures 394mm x 570mm x 870mm and is equipped with a stainless steel bowl with a capacity of 30L. This single bypass laundry unit also includes a 50mm basket waste. 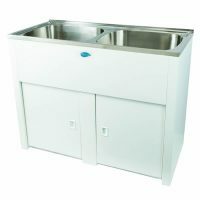 Have no doubt; this laundry cabinet sink combo is capable of handling all your laundry duties with ease. Designed to offer easy installation, the Bold Mini Laundry Cabinet & Sink features adjustable feet and contains bypass holes on the sides of the cabinet for washing machine hoses. As a mark of quality, Everhard offers solid manufacturer warranties on all aspects of this unit. 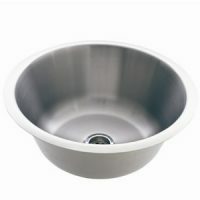 The stainless steel bowl and the metal cabinet are covered by a lifetime warranty, while the rods, hinges, wastes and plugs are covered by a 1-year warranty. Make your cleaning duties a breeze by installing the Bold Mini Laundry Cabinet & Sink in your home. Currently, this product is available at an attractive bargain on Ross’s Discount Home Centre. So what are you waiting for? Buy this compact laundry cabinet sink combo today!